Aerobie PRO 13" Flying Ring is the world's best flying ring. 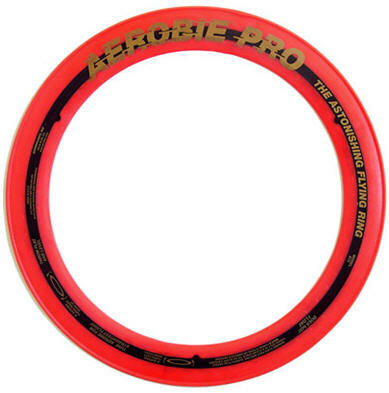 The Aerobie is easily thrown twice as far as any conventional disc product. 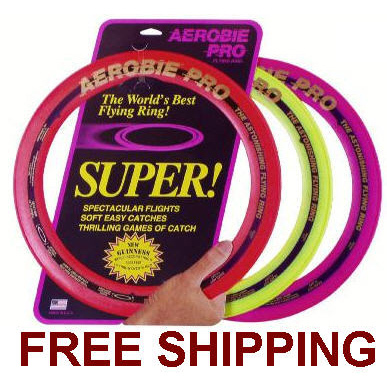 This flying ring has a soft rubber edge and a sophisticated airfoil that allows you to throw it further than anything else. Available in Magenta, Redish-Orange and Yellow when stock allows. If you do not select a color, it will be chosen at random.